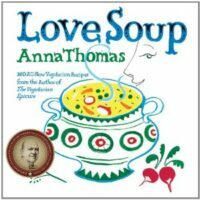 When the publisher of Anna Thomas’s most recent book, Love Soup: 160 All-New Vegetarian Recipes from the Author of The Vegetarian Epicure,* contacted me to see if I would be interested in reviewing the book and perhaps do a Q & A with the author, I jumped at the chance. Her first book, The Vegetarian Epicure*(1972) was truly the pioneering effort in contemporary vegetarian cuisine, predating Mollie Katzen’s Moosewood Cookbook by five years. Anna wrote it when she was a graduate student in film at UCLA and it became an instant classic; later she achieved success in the film world as well. Read about her fascinating parallel paths in herbio. It’s a testament to how much I have been enjoying Love Soup that I’m willing to plug the one book that’s the most direct competitor to my own Vegan Soups and Hearty Stews for All Seasons! * But in a full life, one can’t have too much soup, nor too much love. If you like stories with your soup, you’ll love this book. It’s easy to see why Anna is in film, with her penchant for narratives that weave their way throughout the book. She offers up origins of recipes, lyrical descriptions of seasonal produce, and musings on how friends, family, and food intertwine. Thus, a book of 160 recipes fills more than 500 pages, and in this case, it’s a good thing, and will delight anyone who loves to read cookbooks as if they are novels. 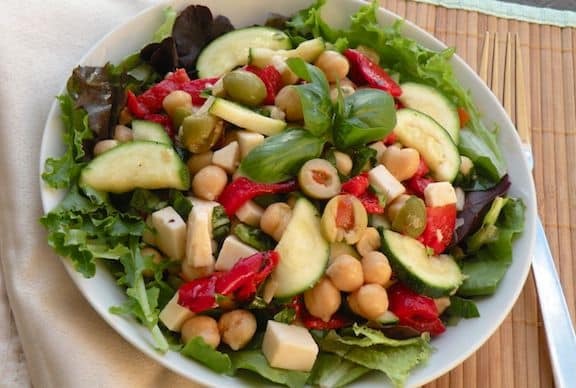 The recipes are arranged seasonally and include chapters such as “Big Soups and Stews,” “First Tastes of Spring,” “Green and Greener,” among others. They are labeled with a bold V if they’re vegan, which is true for the majority of soups. 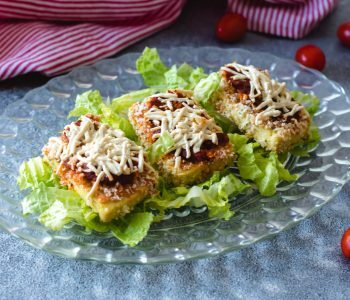 There are a plethora of menu suggestions and chapters devoted to accompaniments such as breads, sandwich spreads and dips, salads, and even a few choice sweets to end a soup meal with. Enjoy this Roasted Root Vegetable Soup recipe from Love Soup. Nava: Anna, I’m very interested in your work, because like me, you’ve had parallel careers in the arts and in publishing, with an emphasis on veg cookbooks. Thank you for your role in bringing great vegetarian food into the mainstream. Have your career paths fed one another (sorry for the bad pun! ), or have they been separate? Anna: When I was promoting The New Vegetarian Epicure, which is based around menus, a journalist told me that the menus felt like little stories to her, and asked me if I could compare creating these menus with my fiction writing. I said, menus are easy, fiction is hard. For me, cooking is a joy and a respite from the more stressful and demanding work of screenwriting or film production. I love writing stories, and making films, but it is hard work in a tough business. When I go into the kitchen and cook something, when I sit down to eat with my family or share food with my friends, I feel a sense of well-being, I relax and remember that I am human. Perhaps that is why I so enjoy writing about food, because it allows me to hold onto that. Nava: Another thing we both share is a penchant for soup. What is it about soup that inspired you to return to the genre of cookbook writing? Anna: I love soup! And I want to bring everyone in the world along into that happy state, one pot at a time. At a book signing, a man raised his hand and asked about that title – adjective or verb? I said, it’s a command! In the introduction to Love Soup I relate the stages of my relationship with soup, from early eating experiences, through the raising of my children, and on to the moment when I left my gigantic empty nest. I moved into a temporary space in a converted painter’s studio while my new house was being radically remodeled, put in a tiny kitchen and fitted it out with a few basic pots and pan while everything else went into storage. I thought I would be using it for about 6 months. I was an idiot. Three years later, I was still cooking in the 81-inch kitchen, and day after day, week after week, soup was saving me! 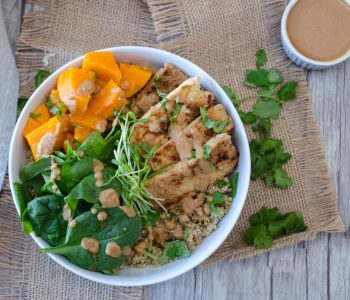 I found I could still shop at the farmers market, enjoy cooking at home, eat fresh, delicious food, and have my friends over for relaxed, friendly meals – if I made soup the center of those meals. 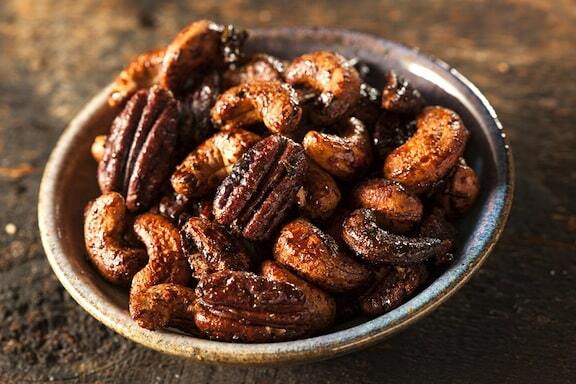 So practical, so variable and so delicious. After a while I thought, I must write about this – and so Love Soup came about. Nava: I see you take a special interest in green soups, and that’s one of the recipes I’ve tried thus far. We still had kale and Swiss chard in our Hudson Valley garden in late November and so it was a particular pleasure to use them in your recipe. Aside from your evident love and flair for this kind of soup, do you have any other favorite style of soup that would be particularly enticing for the month of January? Anna: Green Soup – the best! It’s something of a cult now; I get more mail about green soup, in its many variations, than about any other single subject. It is a great soup any time, but really the perfect antidote for rich holiday eating. I have a big, traditional celebration on Christmas Eve, and this year on Christmas morning I got up and made a green soup. It was gone in less than a day. I just finished making another pot – Green Soup with Sweet Potatoes and Sage—and am enjoying a bowl of green for lunch as I type this. In month of January, when it’s cold and dark – that’s when we really need something warming and rib-sticking, isn’t it? I have a chapter called The Comfort of Soup in Deep Winter, in which I collected the soups I like to eat in the coldest months. I love the Mushroom-Barley Soup with Cabbage, such an old-fashioned Polish flavor from my immigrant childhood, and also the Roasted Root Vegetable Soup. And when you roast root vegetables, do a double batch – they are a wonderful addition to salads or to a risotto. That chapter also has Sopa de Ajo, the Spanish garlic soup that you make in a single, hearty serving. It takes less than ten minutes. I also love to cook a big minestrone, or my Cranberry Bean and Ten Vegetable Soup. All the hearty bean soups, and the winter squash soups as well, are mainstays. How can you go wrong with a Spicy Black Bean Soup, or with Old-Fashioned Split Pea Soup? That split pea soup is so easy that even a total beginner can do it. In about fifteen minutes you can cut up the celery and carrots and onions, put everything in the pot, then go away and catch up with your email. An hour later, come back and have hot soup. OK, let’s face it. Soup is always your friend, but in January it’s your best friend.